Welcome to Day #6 of Chocolate and Almond Theme Week. Today's Dark Chocolate Cocoa Skinny Dipped Almonds were distributed by Wild Things Snacks, Inc. (Seattle, WA). Sometimes you really just want a small serving of something on the go. This small, single serving packet was the perfect size for just such an occasion. These almonds had a mild, pleasant cocoa aroma and a genuine raw, crunchy almond texture and flavor. 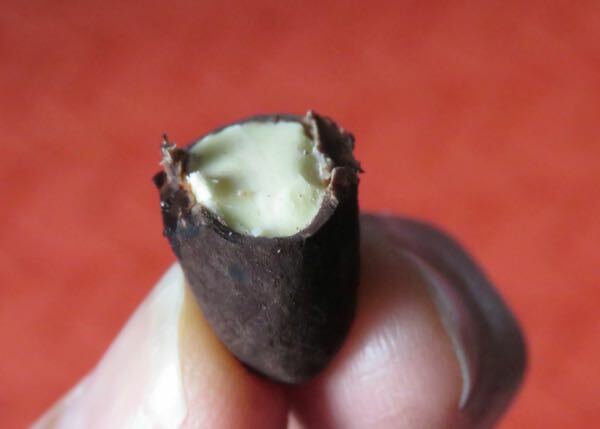 The chocolate coating had a simpler, less artificial quality than other similar offerings. It lacked the thick, sweet chocolate covering topped off with high gloss confectioners glaze—as well as artificial flavors, colors and/or preservatives. Some will like this more natural approach, others may miss the extra chocolate and sugar. 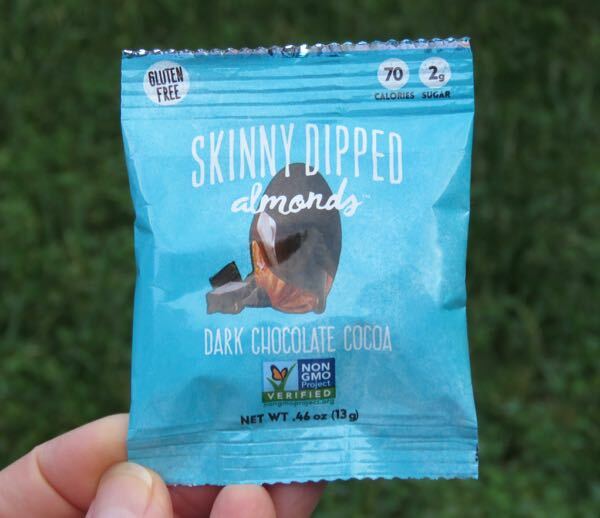 The Non GMO Project Verified, gluten free and PPO free almonds were covered with "ethically sourced chocolate," topped off with a dark cocoa powder finish, and seasoned with a touch of maple sugar and sea salt. Go forth and be merry dear wild things.